“South African Agenda for the Reform of the United Nations Security Council” was the title of the speech delivered by the South African Ambassador to Japan, Dr. Mohau Pheko, on Monday, 1 October 2012 at the United Nations University (UNU) Headquarters in Tokyo. 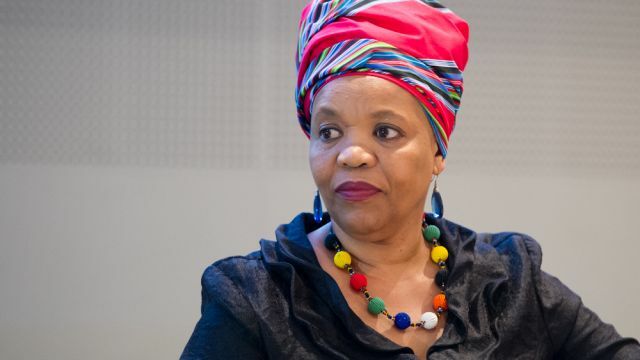 In her speech, Ambassador Pheko expressed concern about the effectiveness and legitimacy of the UN Security Council, arguing that it does not accurately represent the current geopolitical context. In front of an audience of postgraduate students, professors and other attendees from UNU, Waseda University and Saimata University, she highlighted the importance and lasting impact of decisions made by the United Nations Security Council. The ambassador pointed out that 70% of issues discussed by the Security Council deal with Africa, yet no African country holds a permanent seat. In this way, the Security Council still reflects the conditions of the United Nations in 1945 and fails to effectively represent the peoples of Africa and Latin America. She emphasized that many African nations have made significant progress over the years, with Africa accounting for 7 of the 10 fastest growing economies in the world. As such, South Africa strongly supports urgent reform of the Security Council, proposing two new permanent seats and five new non-permanents seats. In discussing South Africa’s presidency of the UN Security Council in January 2012, the ambassador emphasized the importance of sticking to principles when making decisions rather than accommodating “friends”. However, she supports the concept of multilateralism. Ambassador Pheko further discussed the need for the United Nations to recognize the role of regional organizations, such as the African Union, in conflict management and resolution. She stressed the importance of preventing the abuse of policies such as the “responsibility to protect” (R2P) by countries seeking to justify unilateral action to bring about regime change in other nations. Drawing from lessons learned during South Africa′s liberation movement, she emphasized the importance of dialogue over military action in resolving ongoing conflicts. The event concluded with a question and answer session that touched upon a range of key issues relating to the Security Council. In support of South Africa’s objective to earn one of the proposed permanent seats, the ambassador declared that South Africa has proven its role in resolving regional disputes and would continue to work for the interests of the African continent.